Earthbag Technology is a simple, scalable solution for housing problems in the developing world. In March 2011, this working prototype Earthbag structure was constructed in Port-au-prince, Haiti with the help of New Leaf Initiative and GrassRoots United. 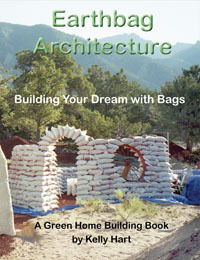 Earthbag construction is a durable and affordable technique for building houses. The system was developed specifically with the goal of making them earthquake resistant, and they are in fact very effective at stopping most common bullet calibers.